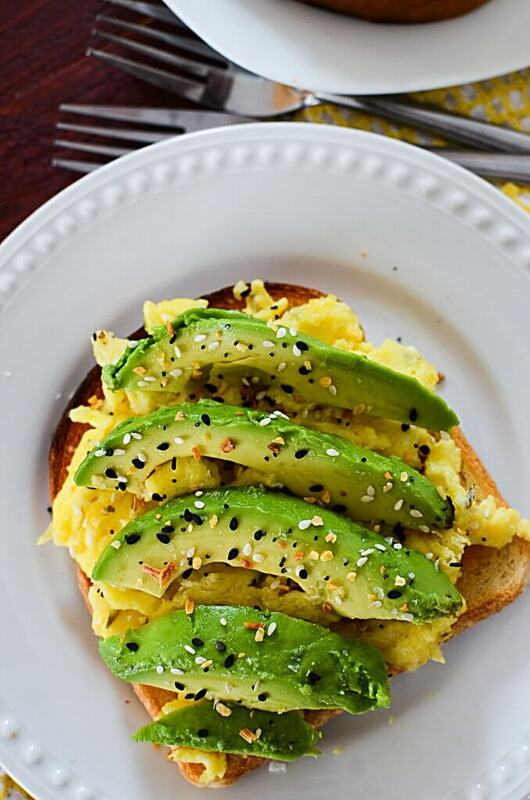 An avocado and egg breakfast is nothing new, right? I know, there are tons of ways to have that flavor combination, but when you make this way, – on toast – it’s even better. Why is better on bread? It’s pretty darn handy to just hold it and eat it while you’re getting ready! 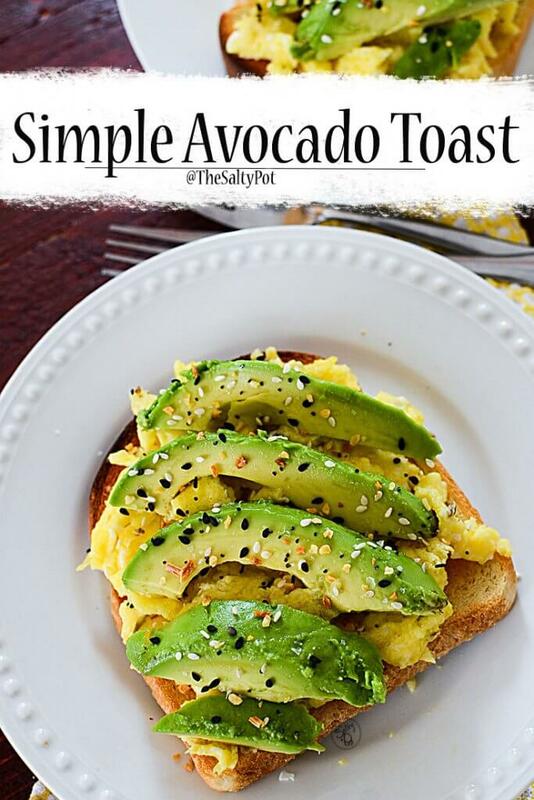 How do I make this amazing but simple avocado toast? One of my most favorite ways to use avocado is of course, in guacamole, or in a salad like this Beet, Avocado and Feta Cheese Salad I made, but also by making this simple Simple Avocado Toast recipe. It’s almost not even a recipe, it’s more of just an assembly of ingredients. What ingredients do I need to make the best avocado toast ever? First, you make your scrambled eggs. I used four eggs here (for two people). 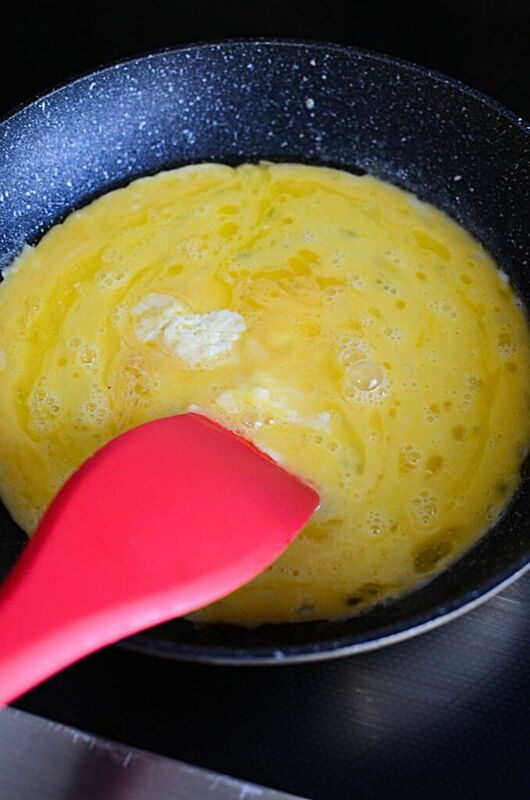 Scramble the eggs in your favorite way. I like scrambled eggs with big pieces of egg, not fine pieces. I also added some pepper and thyme to the eggs while cooking, but don’t salt your eggs until after the cooking process has finished. Meanwhile, while the eggs are cooking, toast your bread. 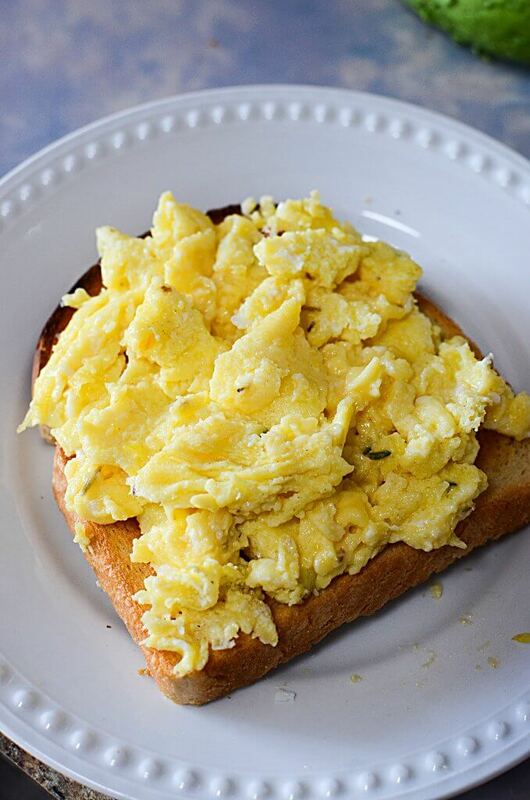 When the toast is toasted, place the scrambled eggs, divided in half, on top of the toast. You could butter your toast if you wish, but the avocado has a lot of good fats in it, that I’m not sure it needs the butter. Then slice your avocado in half, remove the pit. With a butter knife, simply cut the halves into long slices, lengthwise, then using a spoon, scoop them out and place them on top of the eggs. It’s really endless, the possible combinations that can be made with this concept. You could use avocado with a poached egg because if you made the yolk a bit softer, then the yolk acts almost like dressing over the toast. That toast sopping up the egg yolk with a nice bite of fresh avocado?? YUM!!!! Speaking of fresh avocado, if you don’t have it on hand, did you know you can buy frozen avocado? In fact, you can freeze avocado on your own if you find that you bought more than what you’ll use up before it goes bad!! Crazy right?? 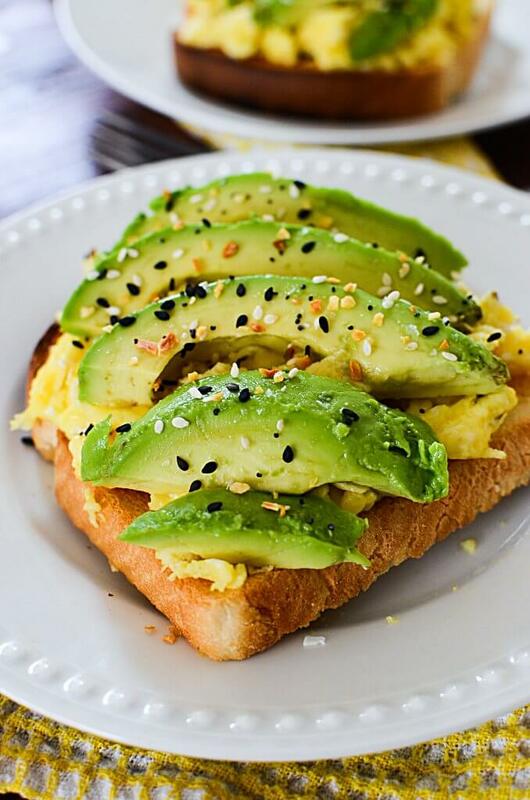 Well my beautiful readers, if you decide to make this super yummy recipe for simple avocado toast, please leave a comment below and let me know what you thought of it! Did you change anything up? Add anything extra? Share it below and let others get some great ideas, plus,…. I want to hear your ideas as well!! Thanks for stopping by The Salty Pot today! This simple avocado toast is super delicious and healthy. It's the best avocado toast recipe because it comes together really quick which makes it a winner for busy mornings! Begin by toasting your bread. While the bread is toasting, crack your eggs and whip them with a fork. Put them into a heated, nonstick fry pan. Slowly move the eggs around, careful not to break up the larger pieces of egg forming. 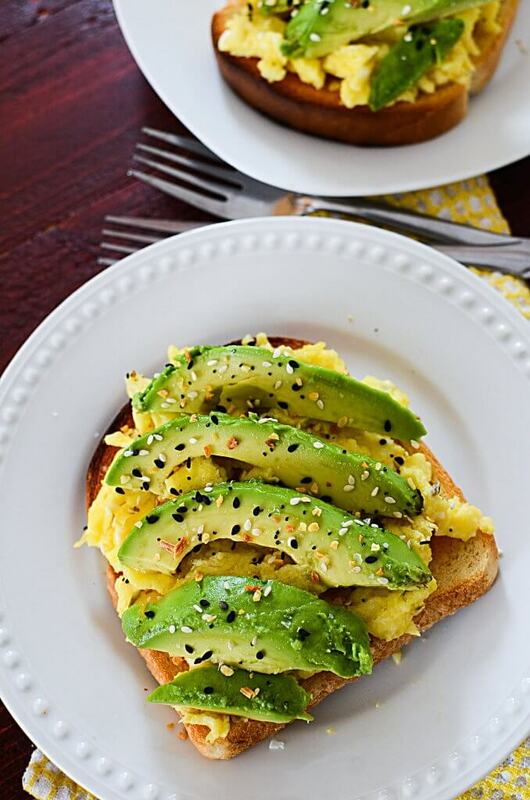 While the eggs are cooking, cut the avocado in half. Remove the pit. With a butter knife, make long slices in each side of the avocado, from top to bottom. When the toast is ready, you can butter it at this point. 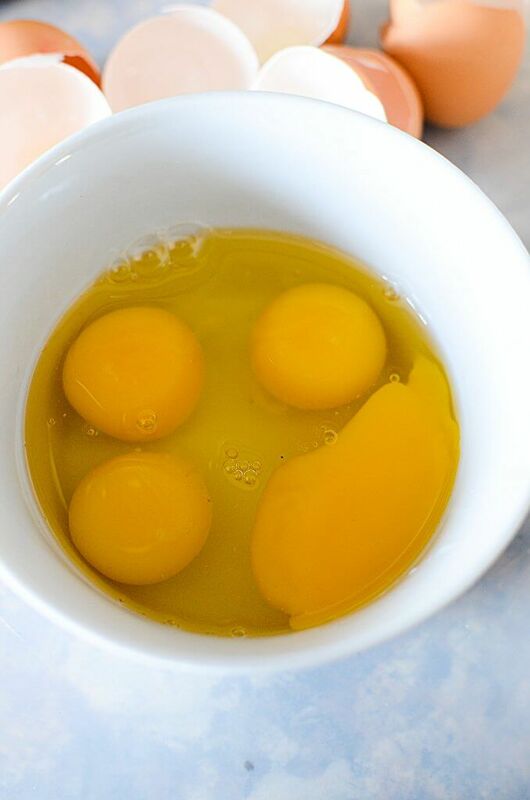 The eggs should be ready. Divide the amount in half, and spoon each half onto each piece of toast. 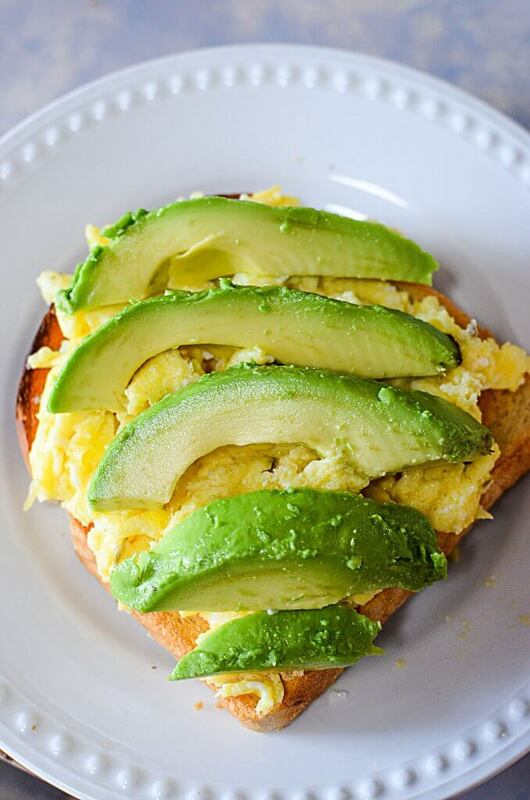 Taking a spoon, scoop out the strips of avocado and place them on top of the eggs. Sprinkle the tops of the avocado pieces with the seasoning.